If I were to make a list of some of my favorite things about summer… ice cream would be close to the top! 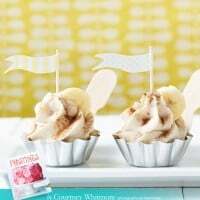 Certainly, ice cream is delicious all year round, but there is something extra special about enjoying ice cream in the summer. And of course when you add lots of yummy toppings to this summer treat, it’s almost an instant party! As a blogger, I get e-mails from time to time from companies offering to send me samples of this or that. Today one such e-mail was for cat food. Yep, cat food. I say “no thanks” to many more offers than I accept because I only want to highlight products on my site that I can really get excited about, and that I believe you will too. 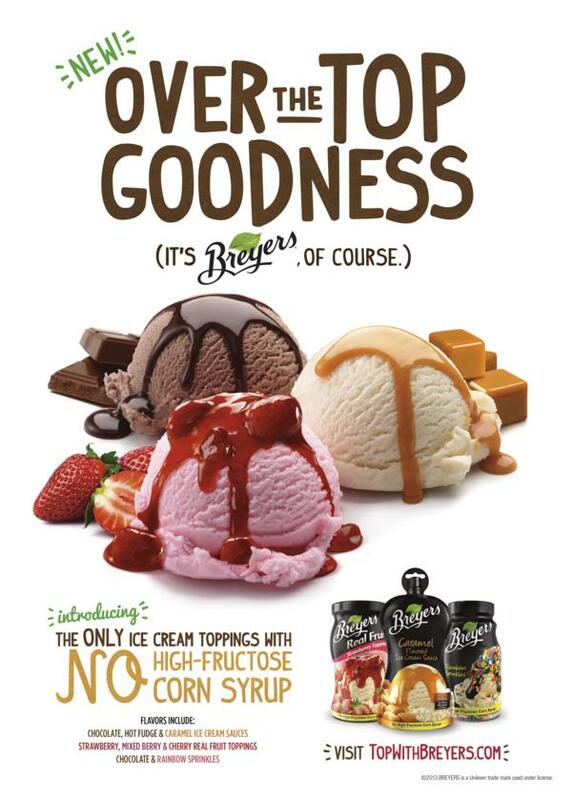 Needless to say, when Breyers wanted me to try their new line of ice cream toppings it was a pretty easy “yes”! 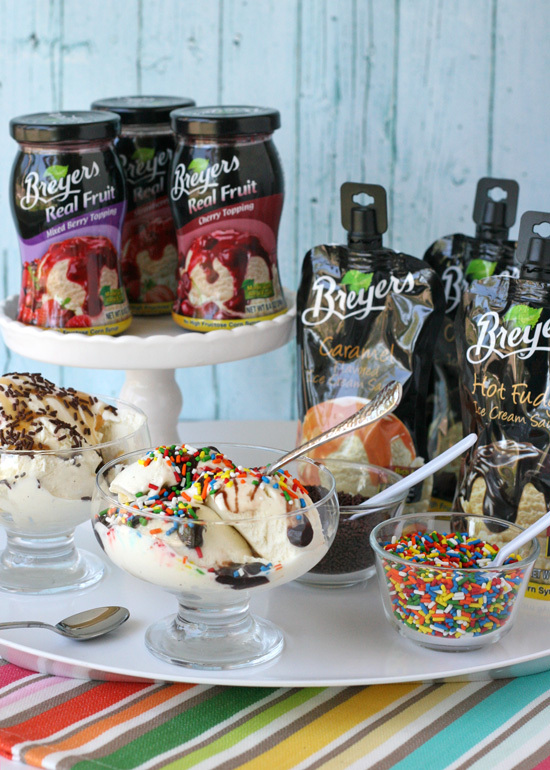 I have been a fan of Breyers Ice Cream for quite a while, and when I learned that their new line of toppings were made with quality ingredients and no high fructose corn syrup, I was all in! 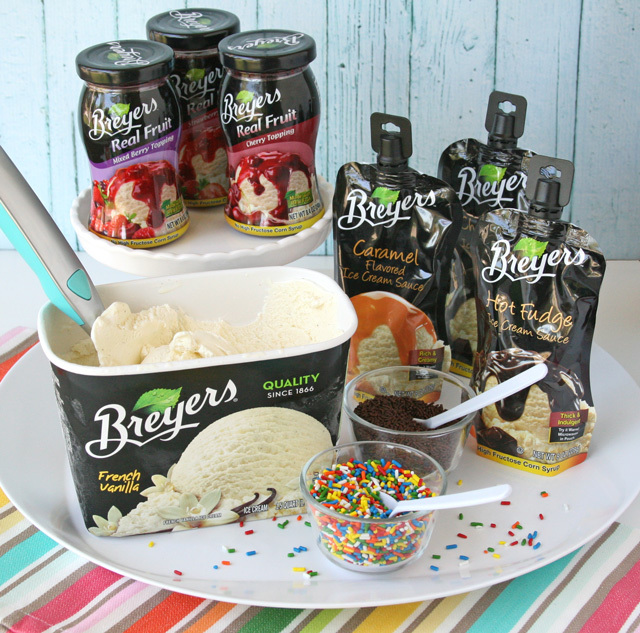 I’m happy to report that my family and I found each of Breyers new Ice Cream Toppings completely delicious! Of course I’m not going to keep all this goodness to myself! Breyers has a box of deliciousness ready to send to one lucky Glorious Treats reader! and a coupon for a carton of Breyers Ice Cream! Needless to say, this delivery makes for a GREAT mail day! Simply leave a comment below telling me your favorite flavor of ice cream. Two total entries per person. Leave a separate comment for each entry. *If you are viewing this post as an e-mail, you need to click HERE to view this post on-line and comment using the form below. Details- Giveaway ends Wednesday, July 31, 2013 at 10pm Pacific. Winner will be chosen using random.org. Giveaway open to U.S. residents. This giveaway is in no way affiliated or endorsed by Facebook or Twitter. Peanut butter swirl…really anything with peanut butter! I love chocolate ice cream and chocolate topping. I love chocolate everything!!! My favorite ice cream flavor is Strawberry Cheesecake from a local dairy! So good on a hot summer night. Coffee ice cream with chocolate topping. Yum! I love the vanilla and chocolate from Breyer’s and their mint chocolate chip. I love, love, love mint chocolate chip with chocolate syrup. Mmm Caramel Caribou Is My Favorite! My favorite bowl of ice cream is Cookie Dough topped with Hot Fudge. 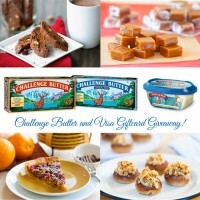 I “like” Glorious Treats on Facebook! I stalk, uh I mean I liked you FB and follow you on Twiter. My all time favorite is vanilla with crushed sweet strawberries. Can’t think of a better combination. My favourite ice cream is Moose Tracks with fresh fruit sprinkled on top! 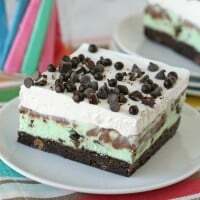 Mint Chip is my favorite! A good old-fashioned vanilla custard is the best! These look soooooo yummy! Strawberry, caramel, cookies and cream,chocolate….I love them all! I wonder if these would be good for flavoring BC? My favorite Breyer’s ice cream flavor is mint chocolate chip. Yum! But really==how can you go wrong? It’s ALL good! What a great summer treat! My favorites are Chocolate and Black Cherry. Cookies n Creme .. mmm! My favorite flavors are rocky road and mint chocolate chip. Yummy!!! Yum!! My absolute favorite is Mint Cookies and Cream. And now I think I might have to have some for dinner tonight!! Or……Peanut Butter Cup. Loaded up with hot fudge. Oh yeah!! I love cake batter ice cream! Yummy! I love Green Tea ice cream!! Butter Pecan is my all time favorite, but in the summer Peach is running a close race. Coffee flavored ice cream 😀 omg, craving some right now! Rocky Road, no I mean pralines and cream, no , rocky road, no it’s pralines and cream! My name is Glory. I'm a wife, mother and also a few other things... a baker, crafter, photographer, floral designer and an obsessive party planner. 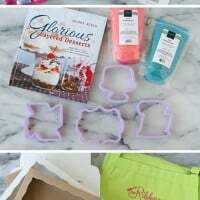 I love color, design, and sweets... and really love bringing all three of those things together! ©2019 Glorious Treats. Design by Purr.